Families looking for all-inclusive resorts with plenty of entertainment should check out Hard Rock Hotels. These resorts are located in Mexico and the Dominican Republic, and they make great spots for a beach getaway. American Airlines Vacations is available to help package a personalized vacation that fits each traveler’s specific needs. All you need to do is choose your destinations and dates! 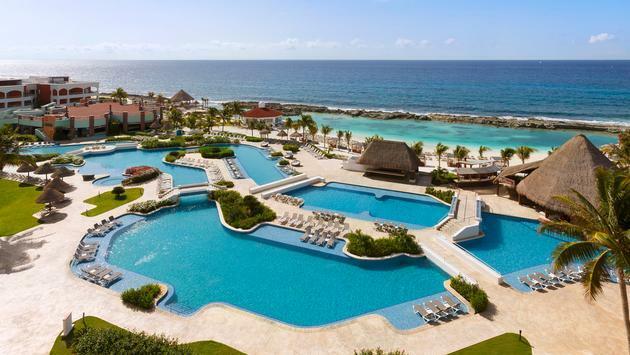 The Mexican Caribbean hosts two of these unique properties, Hard Rock Hotel Riviera Maya and Hard Rock Hotel Cancun. Visitors can get to either one with a flight into Cancun International Airport, and both locations offer plenty of fun in the sun. There is also a resort located on Mexico’s Pacific side, Hard Rock Hotel Vallarta in Riviera Nayarit. This area boasts gorgeous beaches, great fishing and stunning sunsets. Last but not least is the Hard Rock Hotel and Casino Punta Cana located in the Dominican Republic. With 13 pools, swim-up bars, water slides and a location on a large stretch of pristine white sand beach, this property is always receiving rave reviews. Hard Rock Hotels offer amazing customer service and a rock ‘n’ roll meets sophistication type atmosphere. With tropical locations throughout Mexico and in the Dominican Republic, travelers can’t go wrong with a trip to one of these spectacular properties. Learn more by visiting the American Airlines Vacations website.